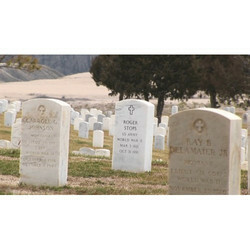 Leading Manufacturer of granite tombstone and marble tombstone from Jaipur. We are offering Granite Tombstone to our clients. 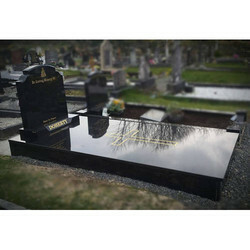 Granite Tombstone, Black Granite Tombstone, Gravestone, Headstone, Stone, Grave Marker, Memorial, Monument and Obelisk. Granite is without a doubt the most adaptable material. It’s available in a variety of colours and finishes and is the most durable stone of all. Due to its wide availability it’s also the cheapest. Dark color Granites are mostly preferable. We are offering to Marble Tombstone our clients.